It is a requirement of your Agreement, that the goods are protected against Theft and Accidental Damage. We can arrange Theft & Accidental Damage Cover for £2.45 per week. It is a requirement that products purchased on a credit agreement are insured. We can offer Theft and Accidental Damage Cover for £2.45 per week. 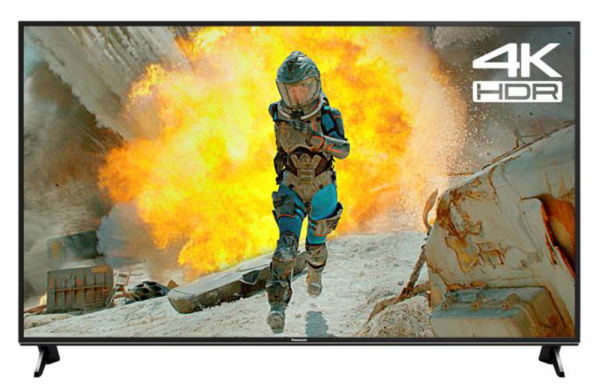 The Panasonic 65" TV has many features including; 4K Ultra HD, HDR, LED and is all around Smart TV. 4K Ultra HD is a technology which highlights every detail within the image, making your viewing experience better than ever before. HDR is a technology which has created more colours within our screens meaning colour is brighter and more intense create an overall epic cinematic effect. Adding the LED feature into the mix allows your viewing experience to only get better and better. Included is Freeview Play meaning you can catch up on all your favourite shows. You are also able to access all your favourite apps such as; BBC iPlayer and Netflix. With 2 USB and 3 HDMI ports, hook up your favourite games consoles and enjoy high definition gaming or, connect to your Wi-Fi and enjoy browse in comfort.